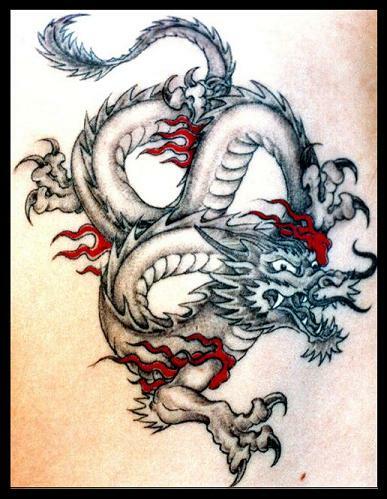 This page contains a stunning selection of Japanese Dragon Tattoos, and also a few charming Cherry Tattoo designs. 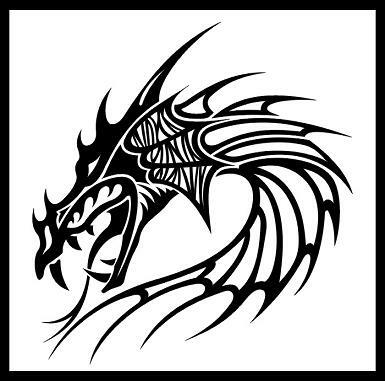 For all sorts of free printable tattoo designs, clipart designs, and other graphic symbols, visit any of the links shown on this page. 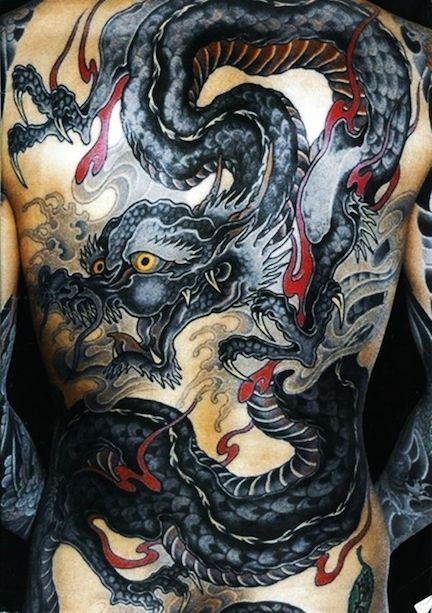 Japanese tattoo art, known in Japan as Irezumi, dates back more than ten thousand years to the indigenous people of the region. 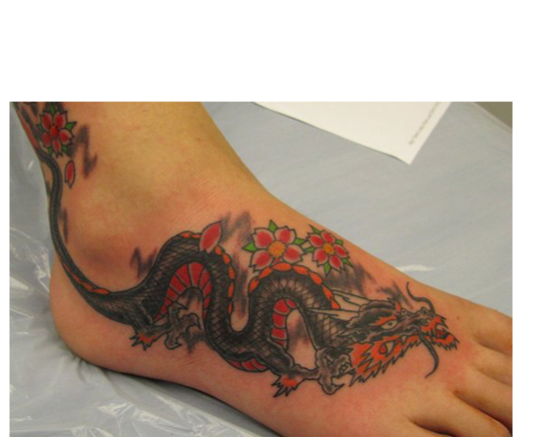 However, starting in the late nineteenth century, the Japanese government began outlawing the practice of tattooing. 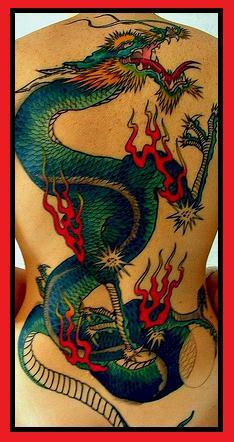 Although tattooing was again legalized in Japan in 1948, it never regained its former popularity in that country. 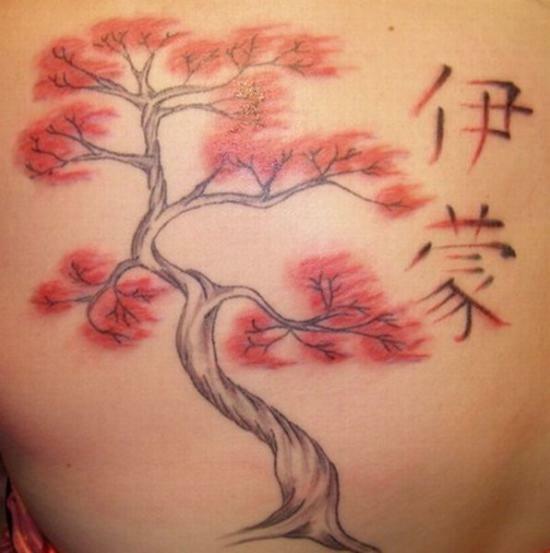 To this day, tattoos in Japan are psychologically associated with the criminal element. Most of today's Japanese youth who get tattoos opt for smaller, simpler designs such as tribal symbols or linguistic characters. 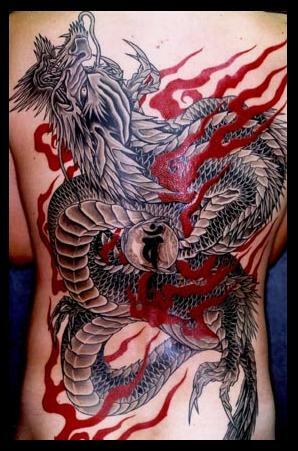 Most popular in Japan are tattoos that can be completed in a single visit. 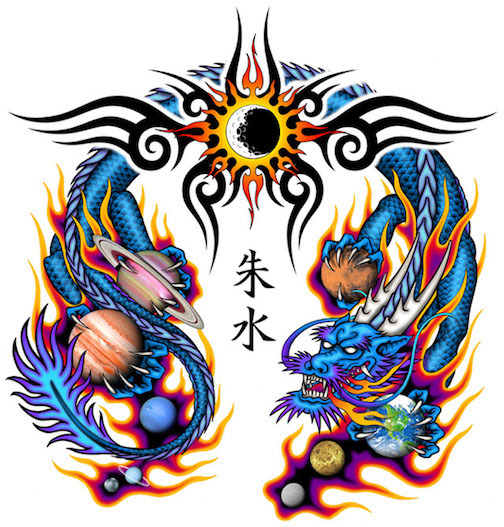 Popular themes of the Japanese tattoo genre include Chinese linguistic symbols, dragons, snakes, tigers, birds, Geishas, swords, ocean waves, flowers and blossoming fruit trees. 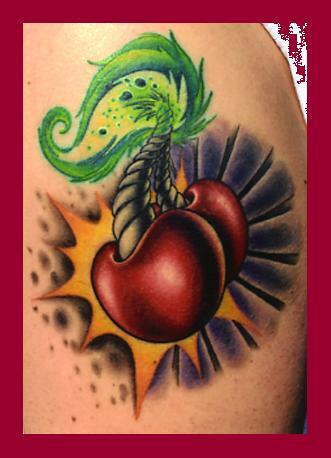 Cherry tattoos are a popular theme among tattoo enthusiasts all over the world , but the cherry motif appears quite frequently in Japanese tattoo design. The cherry tree has, for many centuries, been appreciated for both the beauty of its blossoms and the sweetness of its fruit. In China, the cherry flower is a prominent cultural symbol. 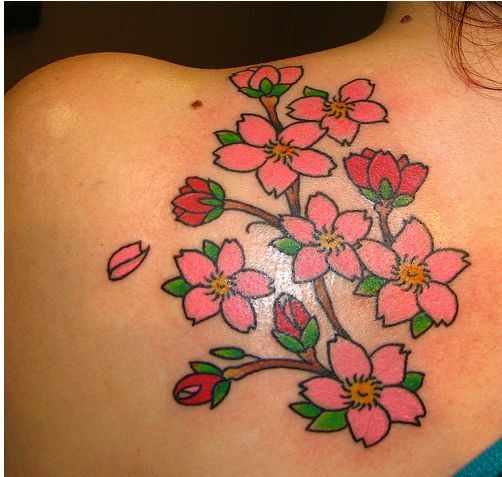 In Japan, the cherry blossom represents the Samurai class. 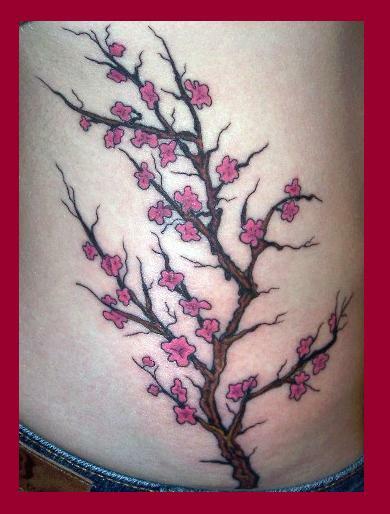 The cherry is often considered a symbol of fertility, and has come to represent feminine chastity. 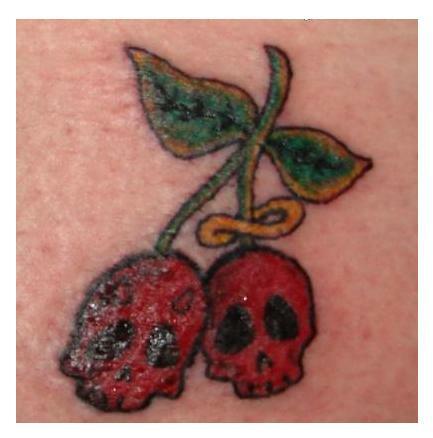 Shown here is a short, sweet, juicy collection of printable cherry tattoo designs. To print out any of these fine designs, just right click on any image and select a SAVE option from your drop-down menu. This will save the image to your picture file for future use. From there you can reduce, enlarge and alter the design as needed to make it uniquely your own. Then print it out and take it to your favorite local tattoo artist. For a huge, varied assortment free printable items, visit any of the links on this page. 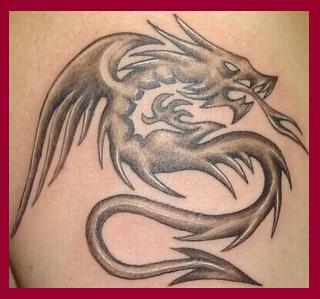 See this page for assorted Free Printable Tattoo Designs.